I have been involved in several dialectics on the practical importance of the National Assembly (NASS) since 1999. Most of such dialectics have ended with the conclusion that the institution has been a gross waste while levying the country so much. The foundation of this conclusion is rooted on several actualities. 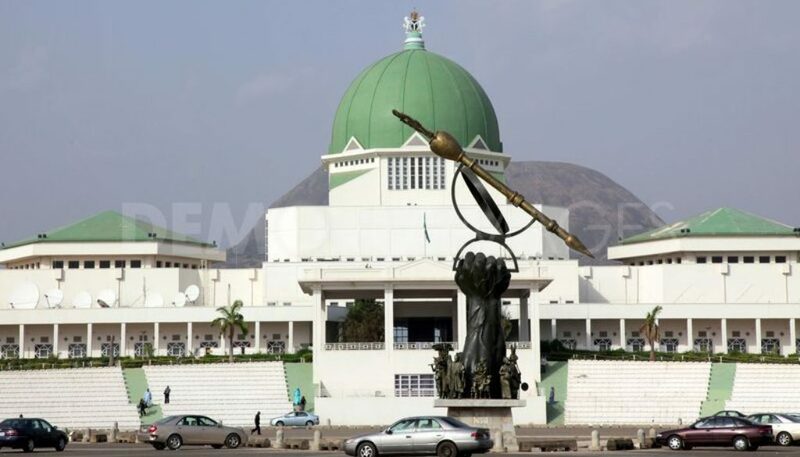 First, since 1999, the NASS has been used as a compensatory platform to settle former politicians and a mechanism for accentuating a post-1999 outbreak of political patronage in Nigeria. In short, the institution has directly supervised the proliferation and culturalization of contemporary corruption in the country. Secondly, the leadership crisis the Senate experienced from 1990 to 2003 started occasioning some elements of incertitude on the minds of Nigerians on what could be the real essence of such institution. Thirdly, one cannot remember any bills from the National Assembly that has had any impacts on the lives of ordinary Nigerians. Fourthly, since 2007, despite a peroration of leadership crisis in the Senate, the NASS then became a traditional resort and relaxation point for failed and grossly corrupt governors, who siphoned all their states had, and were seeking ways to get covered with some sort of immunity from prosecution. To some of the lawmakers, it was a tool of still being relevant and in the political game. Fifthly, what irritates most Nigerians also encompass the fact that over 5 per cent of our national budget goes to the National Assembly. Conversely, such expenditure has been immersed in extensive secrecy with even pedestrian knowledge-deficit on what they do with such percentage. Sixthly, the NASS has gross-transparency and accountability deficit. The Nigerian lawmakers are the most paid all over the world, with humongous amounts of constituency allowances for implementing projects in their constituencies which they do not account for. I am personally an exponent of this narrative that NASS has been a colossal waste up to this point, since 1999. I am part of those advocating that law-makers remuneration should be grossly cut to de-incentivize the transposition of clueless politicians to either of the chambers. While law-making should be a part-time activity. I am also part of those advocating for the eradication of constituency allowances since there are no monitoring and evaluation regime to ensure project implementation. I am also part of those advocating for the concatenation of the two chambers. Ultimately, I am part of those strongly advocating for #OpenNASS. However, despite the inadequacies of the NASS including the present one, and the fact that it is still business as usual, one would be sincere of the fact that this present NASS ain’t that entirely useless. If you could remember, they were the ones that stopped the government from borrowing $30 billion while there were no plans on what to use it for. They were the ones that suspended the sale of national assets. They were the ones that suspended the increment on phone data tariffs. They have indeed made some critical interventions whether they did this in the interest of Nigerians or for political intricacies. Consequently, just few days ago, the Federal House of Representatives (HOR) commissioned its committees on Anti-Corruption, Environment and Habitat to carry off an investigation over the last administration’s “Clean Stove For Rural Women Project,” which was under the Ministry of Environment. The project was at NGN 9.287 billion and initiated in 2014 to supply 750,000 units of clean stoves and 18,000 wonderbags to rural women. If you could remember so well, the project was chaperoned by a saga, resultantly from ambiguity in its contracting processes, cause celebre on the number of stoves that were procured and dynamics of the 2015 political transition. This is a project that Connected Development’s Follow The Money (a grass-root anti-corruption movement) has been tracking its spending since 2014. The organization subsequently found out that only 45,000 clean cookstoves were provided and exhibited at the Velodrome of the National Stadium in Abuja. In addition, it also revealed that out of the 9.2 billion Naira, Federal Ministry of Finance only released N5 billion to the Federal Ministry of Environment for the execution of the project, and the Ministry of Environment only released 1.3 billion Naira to the contractor of the project – Integra Renewable Energy Services Limited. Till today, no one has seen any single beneficiary of the cookstoves. It’s beautiful that the present NASS has also intervened in another great area through this investigation. I hope the investigation would not be compromised but would rather springboard appurtenant sanctions for those that compromised the rule of law in the process of the project. I also wish to call on the Committees involved to implement this investigation in an open manner so that all relevant stakeholders (civil society and the media) can witness it to share findings, narratives and ensure transparency in such effort. Begining The Year with a Bang!!! What Next After Remediation of Shikira and the Minister Visitation?